With just a few lines of code, you can read/write collections to/from files. The code below shows examples for writing and reading back both arrays and dictionaries. This entry was posted in Code Snippets and tagged File, iOS, Read, UIDictionary, Write on January 18, 2014 by admin. (2) Set “Status bar style” to “Opaque black style“. This entry was posted in Code Snippets and tagged iOS7, Status Bar on January 4, 2014 by admin. self.navigationItem.backBarButtonItem = [[UIBarButtonItem alloc] initWithTitle:@"Custom Back Title"
This entry was posted in Code Snippets and tagged iOS7, UINavigationBar on January 4, 2014 by admin. 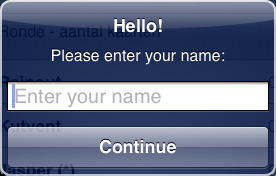 This entry was posted in Code Snippets and tagged iOS7, UIView on September 19, 2013 by admin. This entry was posted in Code Snippets and tagged iOS, View Rotation on July 11, 2013 by admin. Make sure to give the segue an ID so that it can be found. In this example the segue ID would be “mySegueID”. This entry was posted in Code Snippets and tagged iOS, Segue on July 11, 2013 by admin. This entry was posted in Code Snippets and tagged iOS, XCode on July 10, 2013 by admin. In your first view controller (where you need to be notified of some event) you implement code to register and remove notification. This entry was posted in Code Snippets and tagged iOS, NSNotificationCenter on July 8, 2013 by admin.